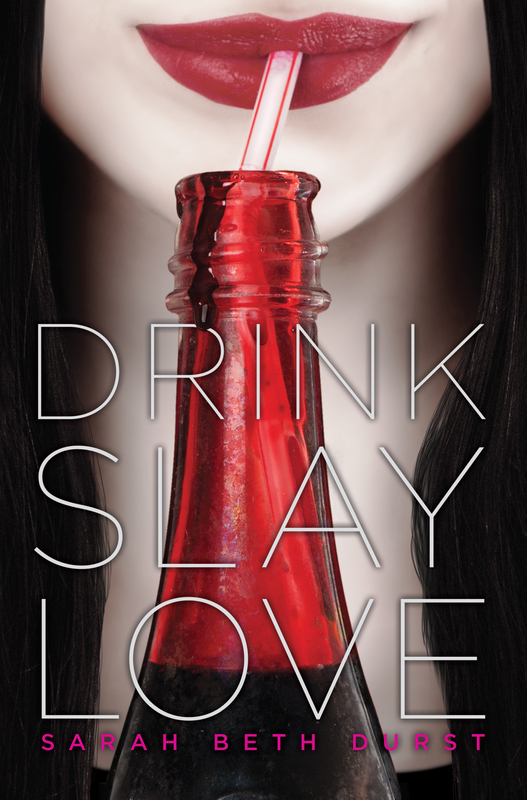 As you may remember, a while ago I posted a review of Sarah Beth Durst’s Drink, Slay, Love. (If you don’t remember, you could refresh your memory by re-reading my review here). I loved Drink, Slay, Love so much that I just had to see if author Sarah Beth Durst would be willing to chit chat about herself, her writing, and of course, her latest book. Lucky for us, she agreed. BookBandit (BB): Can you tell about yourself, and your writing? 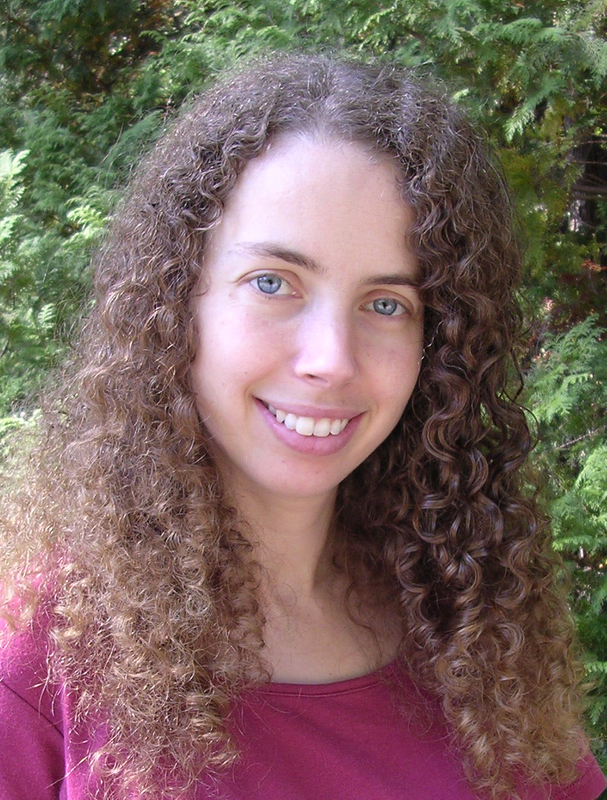 Sarah Beth Durst (SBD): I have wanted to be a writer forever. It’s the only thing I’ve ever wanted to be (except for a brief and ill-advised time when I wanted to be Wonder Woman). I have always loved books. Books have the power to transport you into another world and away from whatever is hurting you in life, at least for a few hours. They’re magic. And I’ve always wanted to be a part of that magic. BB: I recently saw you at an event at Books of Wonder (located in New York City), and there you mentioned why you wrote a “vampire” novel. Would you share that with us? (I thought it was genius and everyone should know). SBD: I didn’t intend to write a vampire book. But then one day, I was thinking about unicorns … you know, your usual Saturday lazy afternoon of lying on the couch, eating tortilla chips, and musing about mythical creatures … and I thought, “Unicorns have built-in stakes! They’re natural vampire hunters!” All that cute, shiny, prancing reputation is merely a cover for their real purpose as vampire slayers. The idea just felt so right that I had to write it! BB: In Drink, Slay, Love Pearl is a traditional vampire – i.e. can’t go out in daylight, drinks blood, and holy water would scar her for life. Why did you decide to go traditional, as opposed to creating your own version of a vampire? SBD: I needed my vampires and unicorns to be opposites. Bloodthirsty creatures of the night versus heroic My Little Ponies. Or more accurately, the militant branch of My Little Ponies. So the traditional version of vampires fit. Plus it’s enormous fun to play with existing archetypes/expectations and turn them upside down and inside out! BB: What was the best and worst part of writing about a vampire and a unicorn? SBD: The unicorns really didn’t like me spilling their secrets. Got a lot of threatening emails from the leader of the local were-unicorn faction. Had to hire a werewolf bodyguard. But the best part was that this was the most fun writing experience I’ve ever had. It was fun from the start to finish, primarily because of Pearl. She’s fierce, funny, and mostly evil. I highly recommend writing evil characters. They rock! BB: What kind of research did you have to do? SBD: Called up a few vampire friends and quizzed them. Sneaked into the were-unicorn headquarters … Actually, I read a ton of history – of – vampire books and a bunch of unicorn folklore books. I wanted to pick and choose aspects from actual tradition to sprinkle throughout the novel. For example, there’s a last name of a certain character that has meaning in unicorn folklore. BB: If you could describe Pearl by a musical playlist, what songs would be on it? SBD: “Not Ready To Make Nice” (Dixie Chicks), “Walkin On the Sun” (Smash Mouth), “Ramalama” (Roisin Murphy), “Blood Roses” (Tori Amos), “People are Strange” (The Doors) … I actually used a playlist while I wrote the novel. If you’re curious, I posted the full list on my blog: http://sarahbethdurst.blogspot.com/2011/10/drink-slay-love-playlist.html . BB: Recently you posted the cover of your upcoming novel, Vessel (due out in 2012) Can you tell us what it’s about, and how the writing process was different from writing Drink, Slay, Love? SBD: Vessel comes out in September 2012 by Simon & Schuster, and it’s set in a desert land where serpents made of unbreakable glass fly through the sky and wolves made of only sand hunt within storms. Sixteen – year – old Liyana is destined to be a vessel, to sacrifice herself so her clan’s goddess can inhabit her body … but her goddess never comes. Writing Vessel required immersing myself in a world that doesn’t exist. It was a very different experience than writing Drink, Slay, Love which required being present in this world. BB: Were there any moments in Drink, Slay, Love that you loved so much, but had to be edited out? SBD: Looking back, there were moments that I remember as hard to cut but now I don’t miss them and can barely remember them. Sometimes you do have to “murder your darlings” as the saying goes, to craft a stronger novel overall. Sometimes scenes seem like a fine idea at the time but are really better off cut. Kind of like the Han/Jabba scene in Star Wars. Save Jabba for Empire, and let Han shoot first. BB: If Drink, Slay, Love were to be made into a movie, who would you cast? SBD: Ooh, I have no idea! Any suggestions? BB: What advice can you pass along to aspiring writers? SBD: Keep writing! Seriously, that’s the key to the whole thing. You become a writer by writing. You learn to write through writing. And you stay a writer by never giving up. I finally believe that perseverance (more than talent or luck or skill or whatever) is the most important trait that a writer can possess.